"Can you take your feet of the seat, please sir?" A cartoon from the October edition of The Oldie. More train cartoons. 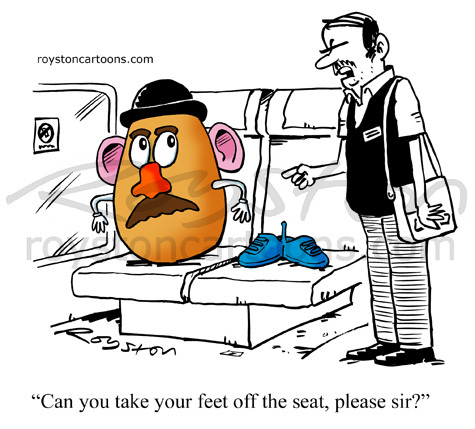 More Mr Potatohead cartoons.